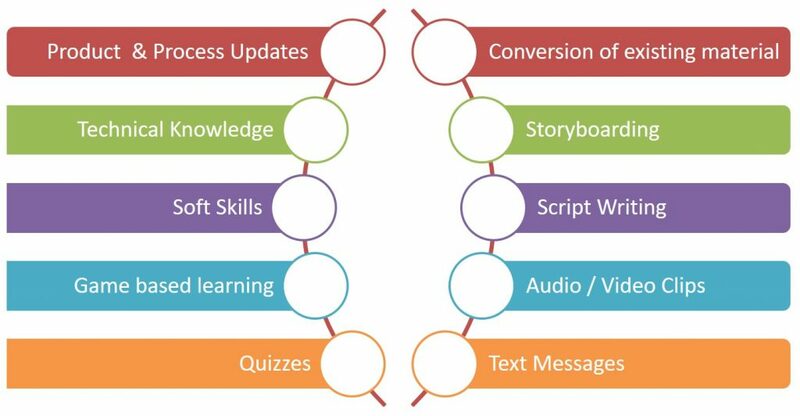 Sententia Learning develops creative mobile learning nuggets to enhance and support your traditional or eLearning goals. Mobile Learning content is an important and innovative tool that enhances user experience and can promotes long term retention of learning if used to provide periodic updates. M-Learning is highly effective to send important product or process updates to employees who constant on the move. Sententia Learning blend the latest technologies with innovative solutions to provide revolutionary and powerful m-Learning services. We can ideate, customize and implement m-Learning in line with your requirements. Optimized content so that it can be delivered over low band width networks.